The Club was founded in 1921 by Emily Kelly (known as Pat), who loved climbing but found the Fell and Rock Climbing Club (FRCC), of which she and her husband H M Kelly were members, too male-oriented. 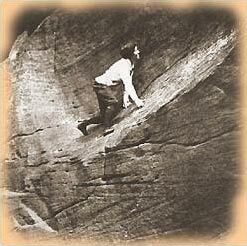 The objectives of the Club were to foster the independent development of rock climbing amongst women and bring together those who were interested in the pursuit. The FRCC supported the new club, and several founder members belonged to both clubs. Other founder members included Len Winthrop Young, who was the first President, and Dorothy Pilley. Pat became the first secretary but tragically died on Tryfan in 1922. 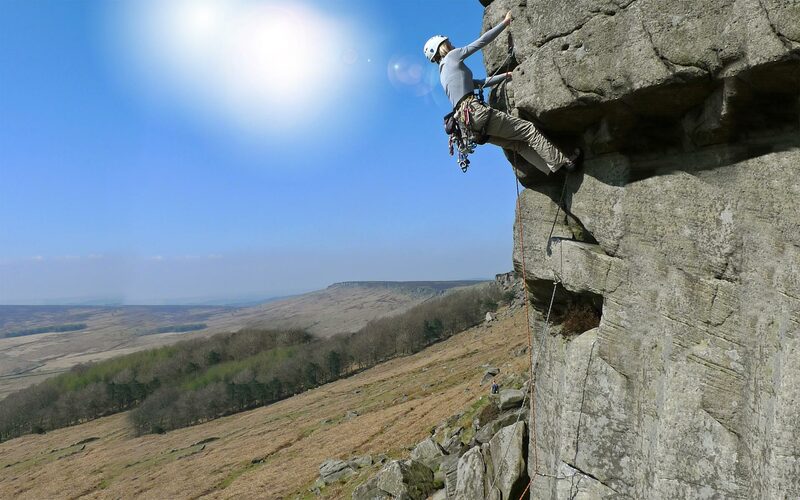 For many years there were 3 meets a year, in mountain areas and at crags such as Almscliffe and Stanage. Until the 1960s it was usual for members to lead less experienced seconds and literally show them the ropes. For many women this was their only opportunity to climb, for others, it gave them an impetus to push the boundaries of their sport. Notable members have included Mabel Barker, Nea Morin, Gwen Moffat, Janet Rogers, Jill Lawrence and Angela Soper. Nowadays women who join have had the opportunity to learn to climb at courses and on indoor walls and are experienced leaders when they join. As access to the hills and crags has improved , the number of meets has increased to 2 or 3 a month. In 1932 the Club acquired a lease on a deserted cottage in Cwm Dyli, the first climbing hut in Snowdonia with electricity, although water had to be brought up from the stream. The hut became an excellent focus for meets for what has always been a national club. In 1988 the Club was at last able to purchase the hut and begin modernisation. Now it is a comfortable home from home and a venue for a more than a dozen Club meets a year. Members have always been climbing abroad, and guideless too in a period when this was not the usual practice. The first Alpine meet was in 1926. Decades later, several members, including Nea Morin and Eileen Healey joined the elite Alpine Climbing Group founded in the 1950s. Further afield, members have been visiting the Himalayas since the 60s and have made several first ascents. In 1989 Rhona Lampard led the first British women’s expedition to an 8,000m peak , summitting Gasherbrum II. The club has an extensive library, incorporating many important books on the history of women’s climbing. These are now housed in a special collection at Bangor University, which is open to the public as a reference library.